Lightning protection systems are used to prevent or reduce lightning strike damage. According to NASA, there are 2,000 thunderstorms active all over the world at a given time and produce about 100 flashes per second. The number of annual lightning fatalities is difficult to estimate, ranging from 6 000 to 24 000 depending on the different studies; this not counting tens of thousands of injuries and millions of dollars in property damage. When lightning reaches the earth, it generally does so directly on natural elements (trees, hills, water, etc.) but also occasionally on structures, buildings, pylons, and other artificial structures. This is a distinction that leads to the division into two distinct types of effect. Those described as “direct” that is due to the circulation of the current that heats the materials and those “indirect” that produce overvoltage by conduction, induction or increase in earth potential. – Electric. This refers to electric voltages created by electric shocks when a certain field is struck by lightning. The occurrence of this event usually leads to fires. – Thermal. The effect will be linked to the resistance of the affected material. There is a strong release of heat which causes a very high localized pressure. The consequences are fires or the melting of equipment. – Electrodynamic. Near the place of passage of the lightning, the current appears a strong magnetic field generating voltages and induction currents on any conductive element located in its immediate field of action. Induced mechanical forces can cause deformation, tearing, destruction. – Electromagnetic. Lightning current induces an extremely high voltage and an extremely strong electromagnetic field that generates very powerful electrical impulses that can damage sensitive electronic devices. – Physiological. From nervous shocks to blindness or death, there are numerous damages that lightning can cause to the human being. – Conduction: a surge that propagates along a conductor who has been in direct contact with the lightning. This effect is all the more destructive as most of the lightning energy is propagated across the entire network. This problem is solved by installing the installation with a suitable surge arrester. – Induction: caused by the electromagnetic field radiated by lightning. It generates an overvoltage on the conductors proportional to the steepness of the lightning current rise. As a result, under the influence of sudden changes in current, cables and even conduits acting as antennas can be subjected to destructive overvoltage. This is why the placement of the underground network does not guarantee lightning protection. Risk management includes the calculation of the potential hazards caused by lightning and provides the basis on which to make decisions to limit the disastrous consequences. Firstly, for a comprehensive risk analysis, it is necessary to take into account different factors: local meteorological risks, territorial morphology, the nature of the structures to be protected, the activities carried out, the fragility of the equipment, the strategic level of the plants, the rate of acceptable failure, etc. There are various methods of risk analysis for this, which also vary according to national directives. The primary purpose of lightning protection is to protect buildings against direct lightning and the possible risk of fire or the consequences of lightning currents. 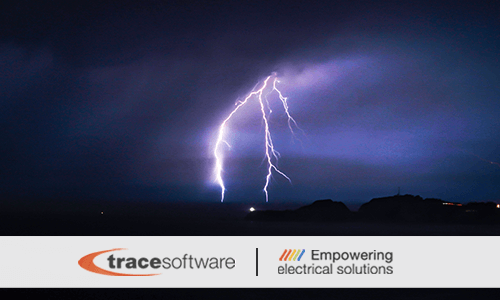 In Europe, the “Lightning Protection Standards EN 62305-1 to 4” dictates the guidelines on lightning protection. The first section mainly contains information on the risk as well as the characteristics of the phenomenon. The second section, on the other hand, is dedicated to risk management, thus also determining mandatory protective measures from both an economic and technical point of view, up to a tolerable level of risk. In the third section, the normative talks about the protection of structures and people from material damage and lethal situations caused by the lightning current. In these situations, a lightning protection system is external (external protection, air termination system, down-conductor system, and grounding) and internal (lightning equipotential bonding and separation distance). The fourth section talks about the necessary protection measures against the effects of the eventual occurrence of an electromagnetic field. In France, the standards and guides related to photovoltaic installations specify the measures to be implemented to provide protection against overvoltage of atmospheric origin or due to switching. It is also stated that, regarding the sensitivity and location of photovoltaic modules, particular attention should be paid to protection against the direct effects of lightning, especially for large installations. For this purpose, standard NF C 15-100 proposes a simplified risk analysis taking into account, among others, the density of lightning, the type of installation, the type of power supply, the presence of lightning rods and the probability of risk to the safety of people and property. archelios™ calc integrates this simplified risk analysis to check the adequacy of the surge arresters to be used in the photovoltaic system. This verification is mandatory for installations designed according to French standards and optional for those made with the IEC standard. 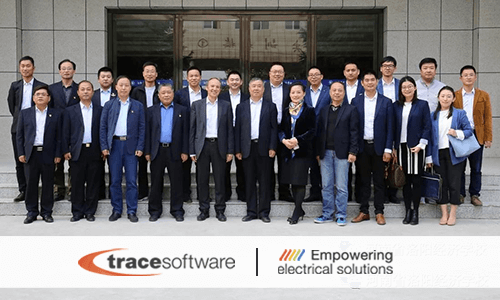 Last week Trace Software International announced a strategic partnership with the Luo Yang Economics School in China to provide the next generation of electrical engineering students with the know-how for competitive success. 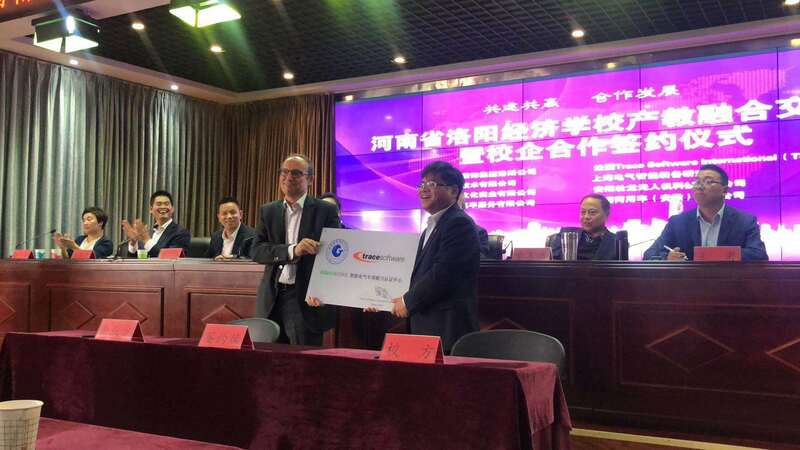 The happening has been celebrated during the “School-Enterprise Cooperation Signing Ceremony”, which has taken place in the University on the 18th of October. 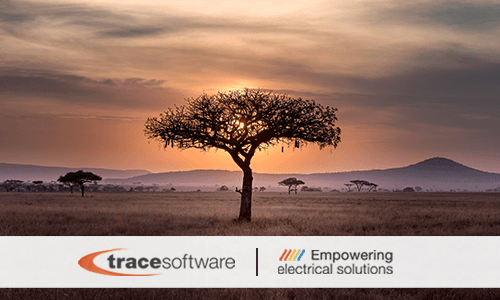 In their training, the students will adopt elecworks™– the electrical CAD for the design of electrical installations and automation projects and elec calc™ – the software for size low voltage and high voltage electrical installations. This practical and innovative approach, known as “learning by doing” is all about learning through experience to acquire awareness on the process’ best practices and the skills to solve real problems. 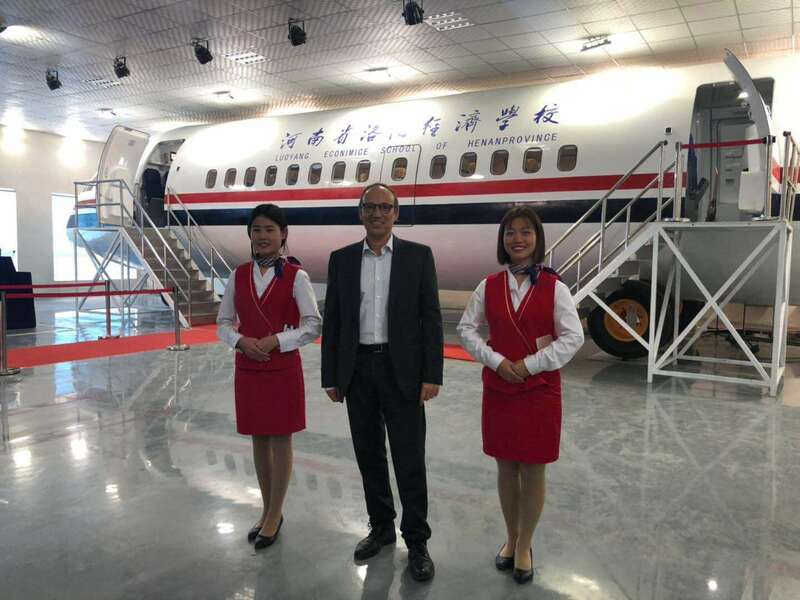 Thanks to the strategic simulation of realistic situations, the students will dispose of the right set of skills to succeed in the future workplace. 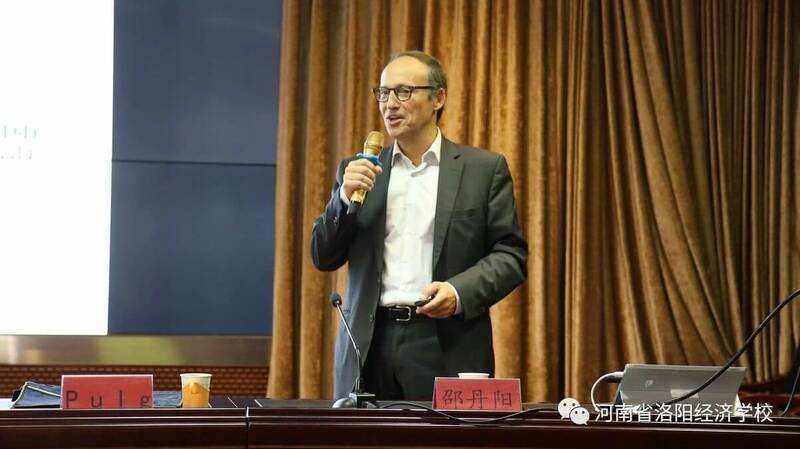 This is the main purpose of the “elecworks™ Electrical Design Certification Center” and of the “elec calc™ Electrical Calculation Center” in the Luo Yang Economics School in China. Trace Software International is a global leader in the development of software solutions (CAD & CAE) and consultancy services for the industrial engineering, with a unique expertise in the design of electrical installations within Manufacturing, Energy, Building, Medical, Process & Plant and Transportation industries. “The industrial landscape is changing, and companies need to harness the power to emerging technologies to stay competitive. If we provide students with the right expertise, they will represent a valuable asset for any organization just right after their graduation” said Pedro Puig – CEO of Trace Software International.